If you had a life-threatening injury, would you hire the cheapest surgeon? Many less experienced doctors could do the job at 70% of what you need. Maybe a little limp, noticeable scars, and regular recurring pain, yet you saved money, right? Hopefully, you are thinking, that is crazy!! Although, it is no crazier than seeking the cheapest business advisor, career coach, or anyone else you would hire to help you through organizational, career, and life-changing situations. 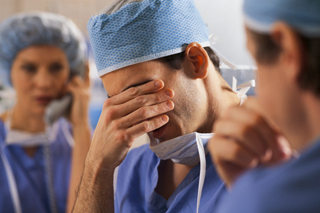 It is said 25% of surgery patients improve dramatically, 50% have moderate to no improvement, and 25% get worse. This can be as true in advising and coaching and for similar reasons: incorrect diagnosis, symptomatic treatments, lack of experience, etc. And, in most industries, there are thousands of so-called professionals claiming to be experts in their arenas. Unfortunately, almost anyone can take a certification course and suddenly be in a position to guide organizations, careers, and lives. If you think hiring a competent professional is expensive, wait until you hire an amateur. In fact, quite regularly, LinkedIn members from diverse industries ask me to train them to be a life coach, career coach, or organization advisor… and most are not qualified. One of the greatest career mistakes (next to not hiring an advisor when most needed) is being advised by a coach or advisor who lacks years of relevant, real-life experience. While mistakes can help you learn and grow, when it comes to life-changing situations and choices, it is not a time to be “penny smart and pound foolish“. Nevertheless, in an informal survey of LinkedIn members who requested coaching proposals and responded with, “Thank you, but unfortunately your proposal is not a fit for my needs at this time.“, nearly half confessed “price” was the main reason. Instead, clients start with a resume writer, interview coach, or career advisor with little relevant, real-life experience, and it cost them months of time, energy, and income. Finding the cheapest professional leads to getting poor to average advice and, in turn, can lead to grave mistakes, which are more costly to remedy and from which you may not fully recover, even with the help of an experienced coach or advisor. Make no mistake, your choice of a life coach, career coach, or organization advisor can easily impact your life as much as your choice of an experienced attorney or surgeon. As with almost everything in life, you need to know your value and invest in yourself, before most people will be willing to value and invest in you. Patrick Schoof is Managing Director of Intrinsic Matters, and was hand-selected as an official LinkedIn Insider (2016), LinkedIn MVP, and LinkedIn Career Expert (2017). He is also the owner of the ProFinder Professionals group on LinkedIn. Learn about LinkedIn ProFinder and experienced professionals world-wide who can help you at www.linkedin.com/profinder.